My Thanksgiving spread was so pitiful that I’m already working on Christmas to avoid any disasters. My cornbread dressing was apparently served in a dish that had not been rinsed properly and it tasted like Dawn Liquid. Ditto for the Green Bean Casserole of which the only edible part was the O & C onion rings on the top. I’m determined to present a Christmas dinner to remember. Here’s my dilemma. My family doesn’t care for sweet potatoes or anything made with marshmallows – well, except for S’Mores over a campfire. I cannot find a recipe that doesn’t call for the white sticky puffs of unknown origin. What the heck is a marshmallow anyway and who came up with the bright idea to yuk up sweet potatoes with the gooey things? I know, I know. Most people probably love them. 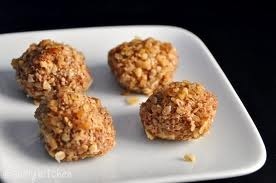 I found a delicious sounding recipe for Sweet Potato Balls which had no marshmallows or cornflakes (which I also detest). I copied the recipe to my I pad then in a fit of confusion trashed the entire page of recipes for the Christmas menu. I’ve been able to find all the other recipes except the sweet potato balls. Does anyone have a good recipe that doesn’t use the offensive marshmallows or cornflakes. It doesn’t have to be balls, but it CANNOT contain marshmallows or cornflakes. Kathy Ramsey told me yesterday she is mixing her mashed sweet potatoes with cream cheese and that sounds good, but still want to serve balls for added interest to the buffet table. This entry was posted in General Stuff and tagged Planning Christmasm Dinner, Seeking reicpe for sweet potato balls by Emily Jones. Bookmark the permalink. 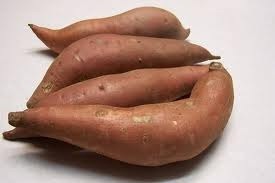 Place sweet potatoes in 1 1/2 quart glass casserole. Add water, cover with a lid. Microwave for 7 to 8 minutes on high. Drain, mash to give 2 cups. Stir in seasonings. Shape mixture into 10 (2″) balls. Dip each into beaten egg. 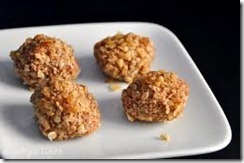 Roll in chopped nuts and arrange in 2 quart (12″x7″) glass dish. Place butter in 2 cup glass measure. Microwave for 1 minute, or until melted. Stir in brown sugar and corn syrup. Pour over potato balls. Microwave for 4 to 5 minutes on high. Let stand 2 minutes before serving. I want to make a comment here, but I don’t know who reads this and I’m afraid they may misunderstand my meaning. 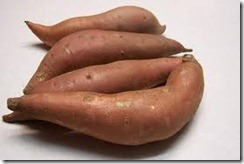 So, I’ll just say Leanne has a good casserole sweet potato recipe. Preheat oven to 325. Mix all ingredients together except for the cream. Beat with mixer until smooth. Add cream and mix well. Pour into greased cassorle dish. Add topping. Bake 25 to 30 min. Mix together with fork and sprinkle over top of casserole. Enjoy! Al, not sure how to interpret your note – send to the email address – EmilyJones@deludeddiva.com and we’ll talk. I’m not sure who reads the blog either – may just be you and me!! Thanks Pam and Ron…both sound great and yay, no marshmellows!